These TEACHINGS OF THE SACRED are a comprehensive study and integration of esoteric disciplines, ancient wisdom teachings, ceremonies and earth-honoring ways of living which offer a reconnection to all that we are with all that is. It is part of the Great Awakening, a rekindling of knowledge so crucial for humanity in this time now. This wisdom cannot be energetically transferred through words alone, but through direct experience with the sacred. This knowledge cannot be found in books, it has always been passed down orally from Teacher to Student and integrated through instruction and guidance. That is why this year’s Sacred Studies will be taught at the sacred sites themselves, with Cynthia and wisdom keepers of their traditions sharing the wisdom of the Mystery School teachings of the Ancient Americas! Back to our Origins: There are common threads found in all creation stories of an epoch of time before the great deluge, when gods and giants walked the earth. There are ancient texts and sacred oral histories that speak of lost epochs of time when other root races and great civilizations and lost Motherland continents existed on this planet. Every ancient civilization and indigenous culture have their own stories of a past golden age when just the “gods” reigned, followed by the semi-divine gods and finally humans. What is the truth of our origins? Why were pyramids and temples built on every land mass on earth, and who built them? What messages did the original builders leave in stone for humanity? 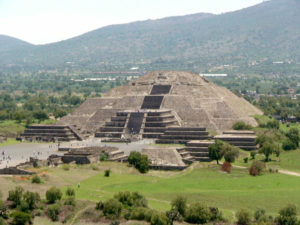 In our Western Hemisphere, the pyramid complex of Teotihuacan, Mexico holds the energy and the legends of this lost epoch of time in so distant a past that only the gods reigned. No one knows the original name of this Holy City or the race that built it, but it remains a Spiritual University, a City of Light, which is known as the place “where humans become as gods” … TEOTIHUACAN. 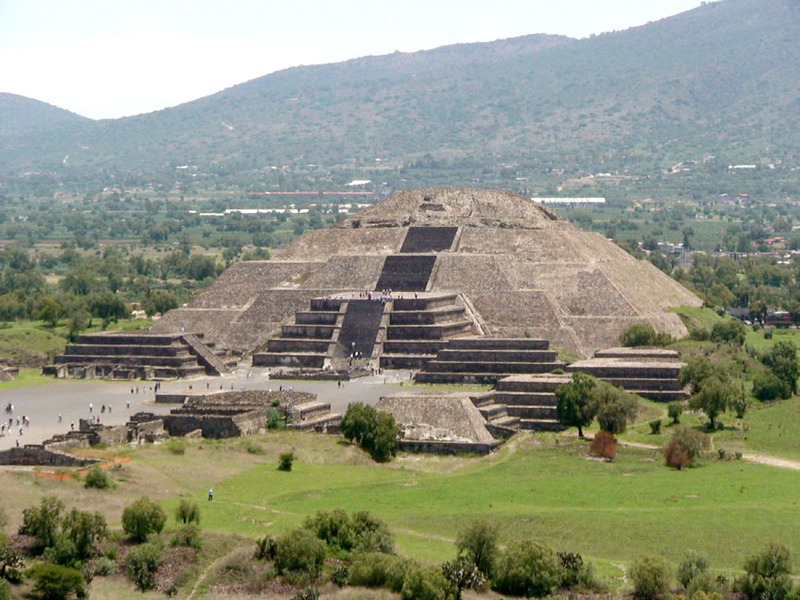 For initiates, Teotihuacan remains energetically active as a Mystery School and a place of learning systems and practices for accelerating self-awareness and soul evolution. 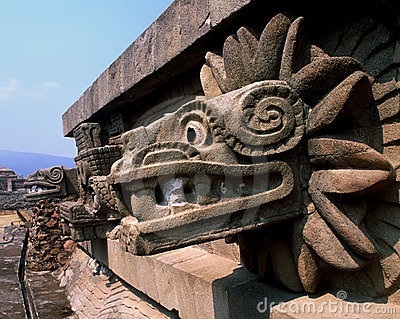 Here, at Teotihuacan this body of knowledge is held in the Toltec Teachings, and originate from the same source as all universal teachings and cosmic principles deposited by the ancient ones at specific sites throughout the planet. These esoteric teachings went underground and became the mystery schools of the Eastern, Western, Oriental and Tibetan philosophies. CYNTHIA FLORES-SIGNET is a teacher of esoteric wisdom found in indigenous cosmologies, ancient mystery schools and sacred histories. She believes that sharing these ancient wisdom teachings of universal truth and disciplines for living in harmony with nature are crucial for humanity in this time now, to reconnect to all that we are…body, mind, soul and spirit. Cynthia has devoted most of her life to extensive apprenticeship with indigenous medicine teachers and wisdomkeepers of the Ancient Americas, weaving and integrating the ceremonies and teachings that they have lovingly shared with her into an everyday practiced spirituality. 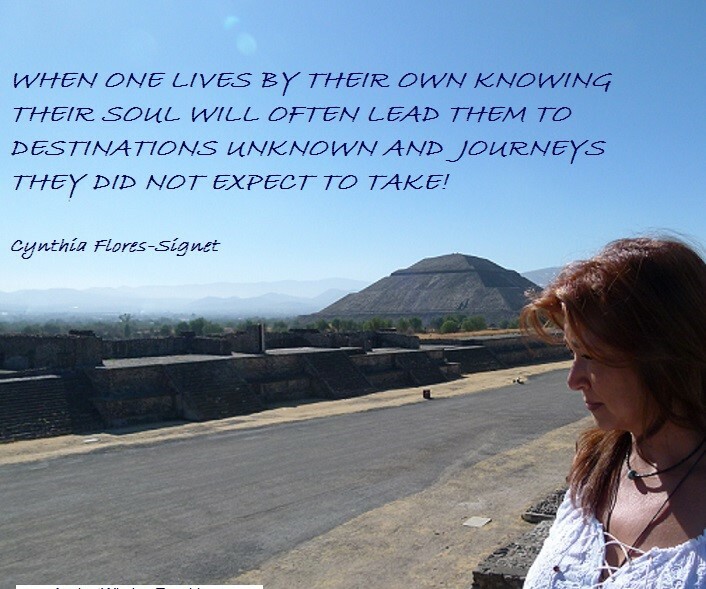 She has been teaching Toltec wisdom to her groups in her “ancestral home” of Teotihuacan for the past 15 years.